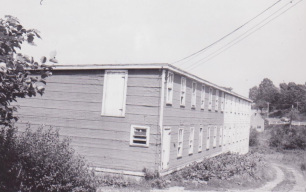 Valleyfield Farm originally began as a small business that was focused on selling and delivering eggs, but also had a working sawmill and livestock on the farm. Developed by Cuthbert and his father, Granville Ellis, the name "Valleyfield Farm" was given in 1935 by Cuthbert's mother, Clare. 'Bert' continued to run the business, along with his sons, Bob and Murray, and also began to broaden the scope, selling tack items, and a number of different feeds and supplies. A barn and some laying hens is what started it all. 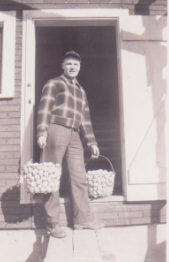 Cuthbert along with his father, had their own egg business, which delivered from Sackville, to places as far away as Gottingen Street in Halifax, in the 1940's. Pictured here: Cuthbert with daughter, Jean (approx. 5 yrs old). Everybody helps out on the family farm! 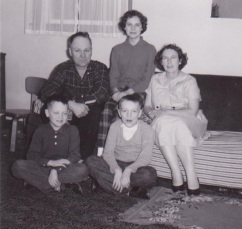 The Ellis family was featured in the "Family Herald", in 1961. It was a well known publication that was distrubuted all over Canada. 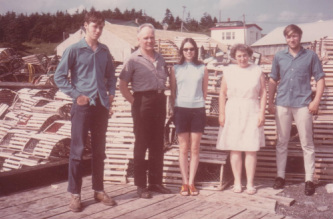 The Ellis family (1961): Cuthbert, with wife Margaret, their daughter, Jean, and sons, Murray and Robert. "The Brooder House" was among the first buildings on the Ellis farm, but is no longer standing. It housed many young hens, or 'pullets', before they were moved to the hen house to lay eggs. Valleyfield also raised meat birds, or 'broilers' for several years, but are no longer involved in that business. A rare shot of Cuthbert & Margaret Ellis with their three grown children. 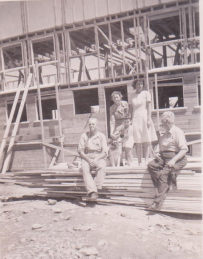 The Ellis sons helped out on the farm as kids, but began working there full-time, when they were in their 20's. 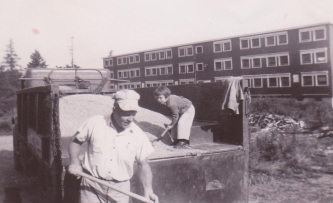 They own and operate Valleyfield Farm together, to this day.